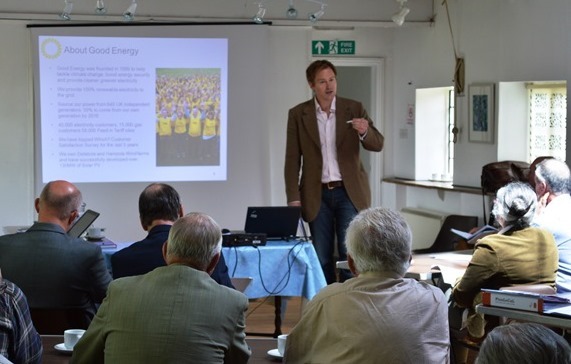 Over 30 representatives of Town and Parish Councils, Neighbourhood planning groups and other interested individuals attended a seminar to learn more about the potential benefits of renewable energy to their communities. The free half-day seminar received presentations from Dorset County Council, Good Energy, RegenSW and local company Community Heat and Power. Renewable technologies can benefit community buildings or schools by providing an income through incentive schemes and cheaper energy. Also, by raising finance locally investors can contribute to the development of their assets whilst getting a good return on their money. Delegates learnt about how communities can also negotiate with developers to maximise benefits for the community. 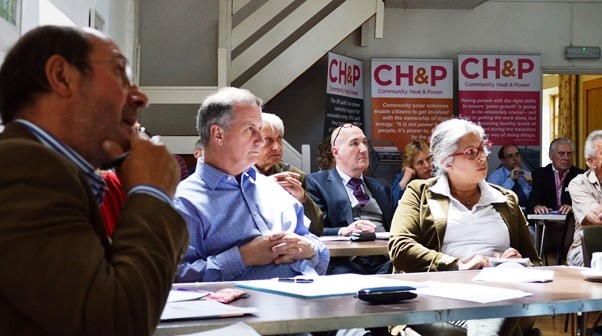 For more information and presentations from the day please contact Paul McIntosh, Sustainability Officer at North Dorset District Council on 01258 484019. "This was a great event and very encouraging to have had a full house. 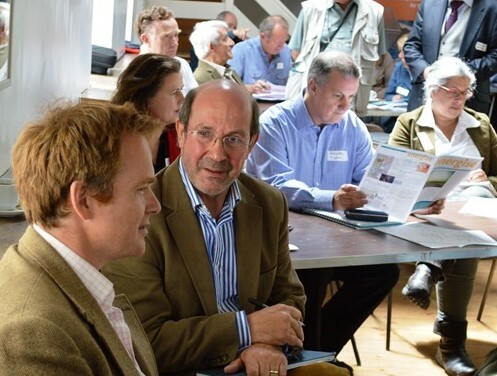 What would be really useful though is some feedback from the attendeees 3 months on as to how they are getting on with their communities and discussions around energy, have any gone as far as starting a project group? "